Transferred by the SAF-Avions Dewoitine to the Liore-et-Olivier (LeO) concern owing to the workload imposed on the parent company by the D 50bis (future D 500), the D 37 (later D 370) was a private venture contender in the 1930 C1 programme. Evolved in 1931 in parallel with the D 500, the D 37 was devel-oped via the D 53 (strengthened D 27) and first flown on 1 October 1932 with a 700-hp Gnome-Rhone 14 Kbrs Mistral Major 14-cylinder two-row radial engine driving a four-blade propeller. The prototype was built at Argenteuil by Liore et Olivier and was entered for the 1932 French fighter competi-tion by the Societe Aeronautique Frangaise, a new company formed by Emile Dewoitine following his return from Switzerland. It was subsequently subjected to an extensive series of modifications: a G-R 14Kbs engine gave place, in turn, to a G-R 14Kds affording 800hp for take-off and 740hp at 4500m; the engine cowling was changed; the undercarriage was redesigned, and the wing introduced dihedral and reduced chord. Yet more redesign was embodied by a second prototype, the D 371, which appeared late February 1934. 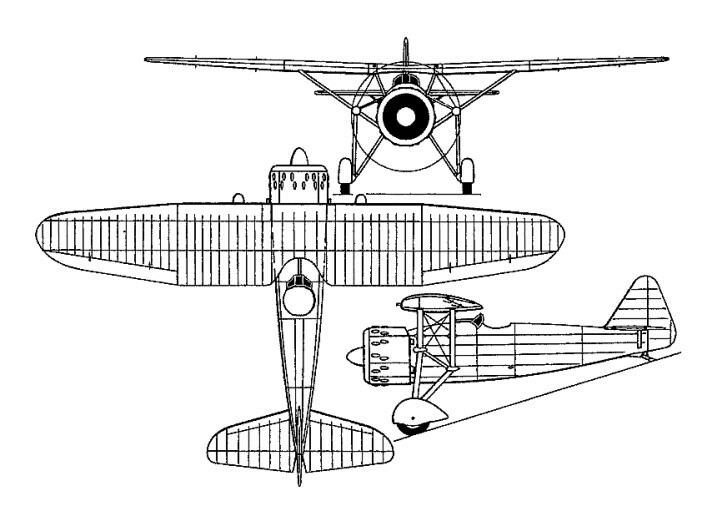 Twenty-eight D 371s were ordered for the Armee de l'Air with the G-R 14Kf s engine of 930hp for take-off and 880hp at 3250m, and an armament of four underwing 7.5mm MAC 34 machine guns. 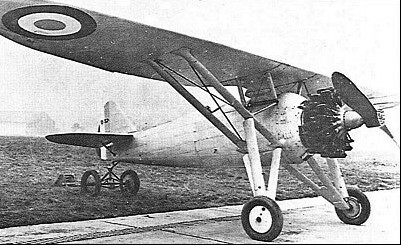 Fourteen were ordered by Lithuania, and these, having two synchronised 7.7mm Browning guns in the fuselage and two Darne guns of similar calibre in the wings, were designated D 372s. Republican forces in Spain received the 14 D 372s (930-hp Gnome-Rhone 14 Kfs) ordered by Lithuania. The Lithuanian government relinquished its D 372s in favour of D 501s, the former being sold to the Spanish Republican government and ferried to Spain during August 1936, where they were later joined by 10 of the 28 Armee de l'Air D 371s. In March 1036, Escadrilles 7C 1 and 7C2 of the Aeronavale at Hyeres began to replace their Wibault 74s with 20 examples of the D 373, similar to the 372 except for wing flaps and deck landing gear. These had flotation gear, a 30cm reduction in wing span and an armament of four Darne guns within the wing. These were followed by 25 D 376s with wing folding. The last D 371 left the factory at the end of December 1935, the Armee de l'Air fighters following the Navy's D 373s. The remaining D 371s equipped an escadrille at Bizerte, Tunis, until 1939, but were little flown owing to constant problems with their engines. Standard armament of the D 37 was four underwing 7.5-mm (0.295-in) MAC 1934 or Darne machine-guns, but the D 371 prototype was a testbed for two long-barrelled 20-mm (0.79-in) Oerlikon S cannon mounted in the wing centre-section, and some D 373/376s were fitted with 13.2-mm (0.520-in) Hotchkiss machine-guns. Performance of the D 371 included a climb to 4500 m (14 764 ft) in 5.18 minutes and to 10000 m (32810 ft) in 21.85 minutes. This version's service effectiveness was limited, due to extensive grounding brought about by frequent engine troubles, and those still serving with ERC 574 in Tunisia were replaced by Morane-Saulnier 406s in November 1940. The D 373/376s, 27 of which constituted the entire Aeronavale fighter strength upon the outbreak of war, were similarly replaced by Potez 63 fighters in January 1940.